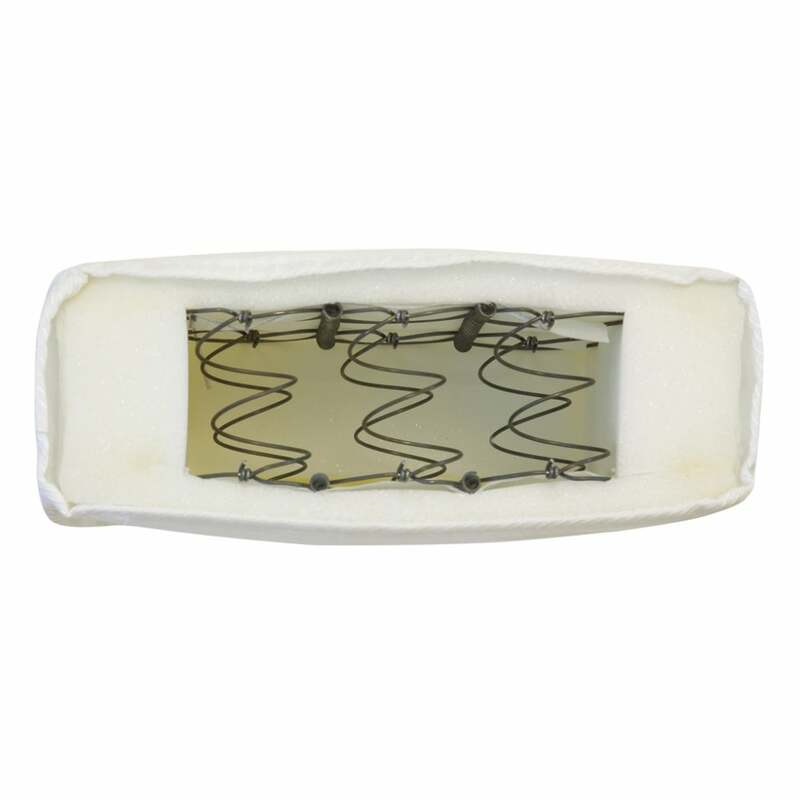 Part of the Kidsaw range, this MAT2 junior sprung mattress is made with Combustion Modified High Resilience Foam and traditional springs to comply with Government Regulations of Ignition. The mattress comes with all the relevant BS standards you would expect from a brand which specialises in kids furniture and mattresses. 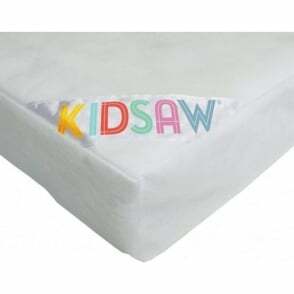 The Kidsaw MAT2 junior mattress is 140 x 70 and is perfect for any Kidsaw junior bed frame. The MAT2 sprung mattress is free from antimony, phosphorous or arsenic fire retardant chemicals. This mattresses is breathe through, the cover is fully overlocked and is made from deluxe quilted coroquilt. 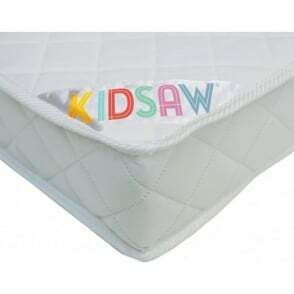 The Kidsaw MAT2 sprung mattress features a removable cover which is easily removed for washing by means of the zip. It is recommended that the mattress cover is Hand washed or gentle machine wash (maximum 60 degrees) in a mild detergent; and the cover should be rinsed thoroughly. 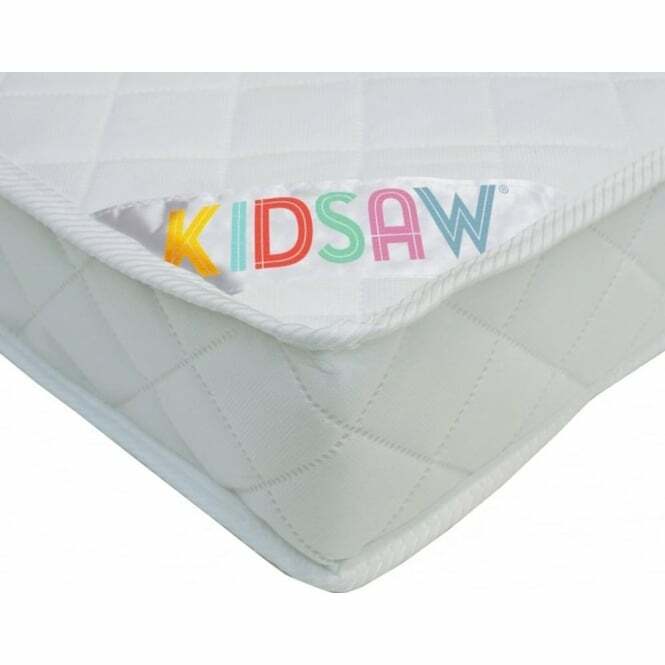 Kidsaw also recommended that the MAT2 mattress is turned frequently. 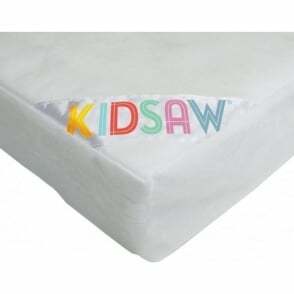 Furniture SOS offer free next day delivery on this genuine Kidsaw MAT2 sprung mattress.